What is a blog? Since you're reading one right now, you've already gotten a pretty good idea. But for the record, a blog is a "gathering of ideas, opinions, texts, links, and images". If the official definition sounds a little vague, that's because blogs are as diverse as the individuals who produce them. Some are deeply personal, while others are extremely professional, right down to their links for downloadable forms. 5. A Blog Allows You To Show Off Your ExpertiseYou're the industry's leading modular home producer? Prove this by posting information from other sources that relay this information. There's no better information than word of mouth, including in the form of a technical paper. 4. A Blog Allows You To Get Customers ExcitedA blog allows you to keep readers updated about your firm's projects with texts and photos. (That reporting software cuts down on a lot of paper waste!) If they're intrigued by what they see, they know who to come to for their own projects. 3. A Blog Provides a Public ServiceWho doesn't love free, including a source for information? By providing a blog with information on industry news, plus related political and environmental updates, you've created an important go-to source that guarantees that your firm's name and services are in users' minds every time they access it. 2. A Blog Is Your Ticket To Other Social Media Sites Again, watch the approach, but when effectively done, a blog will draw readers who are also potential clients. Even better, your blog and other social media outlets can mutually link to each other, creating even bigger buzz about your firm. 1. A Blog Can Help Cut Down On Adverting CostsDon't forsake your more traditional advertising methods altogether. But successful blogging can reduce the need for big PR attempts to create brand awareness. It can also reduce the need for direct mailings, by directing readers to other advertising. 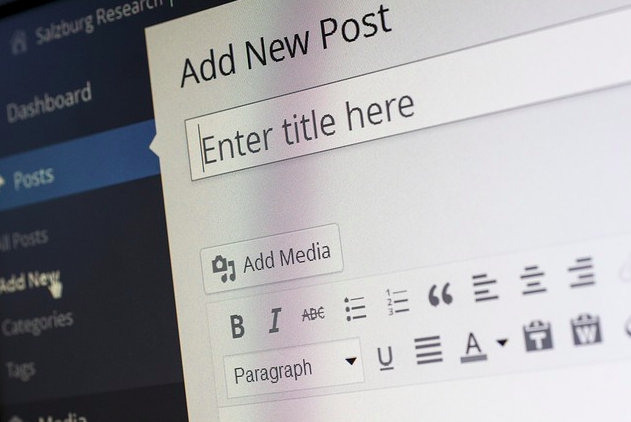 Despite the trendy name, blogs aren't going anywhere anytime soon. Construction firms should embrace and use them as a tool in their marketing bag of tricks. They should start by watching and learning from other blogs, and for more information on building construction blogs one can view our Raken blog.